With headquarters in Montreal, Desjardins is the largest cooperative financial group in Canada. Known as a pioneering leader in online banking solutions, the company has a very diversified range of financial service offerings including wealth management solutions and insurance products, as well as personal and commercial banking services. With increasing customer expectations, Desjardins knew they needed to address several specific business challenges impacting their customer experience and business efficiency. 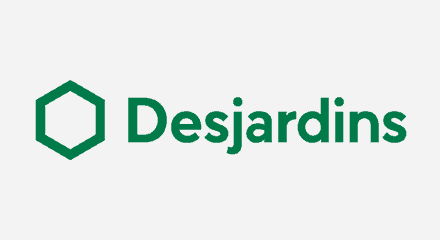 Desjardins turned to the Genesys PureEngage™ Platform to amalgamate their contact centers onto a single vendor, and implemented inbound voice, outbound voice, analytics and the omnichannel desktop. With these solutions in place, Desjardins can now blend inbound calls with back-office work to improve agent efficiency.